Information at your fingertips for Parents in Lagos! What to do for Mid Term Break! The stress and excitement that you and your child goes through just before school resumes. The first day of school you are both anxious, your child is wondering who they are going to meet, what is their new teacher like, and will they make new friends. You are worrying about the work load, will this be a good year academically and socially. As a parent we carry our stress as well as our children's stress on our backs. No sooner has your child just gone back, you now are having to plan activities and to occupy your child for mid term break. Why do these breaks always seem to come so early. 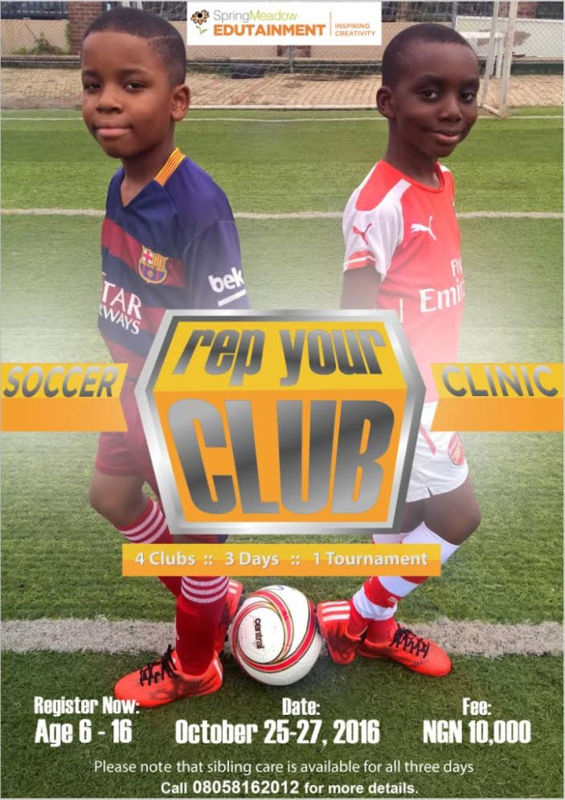 What do you do with your children during this week?, how can you keep them active in Lagos? In this edition of our Newsletter we are going to give you a nice range of activities to keep your child busy at home and also suggestions of camps for the working parents. Thank you to NOAH who sent us a picture of himself dressed as Augustus Gloop from Charlie and the Chocolate Factory. N5,000 Voucher is on its way to you. Tuesday 13th September 2016 marked 100 years since the birth of Roald Dahl - the world’s number one storyteller. We ran a competition for those who celebrated to send us their pictures and one lucky winner would win N5,000 voucher for The Reading Corner. Thank you for the lovely pictures that were sent in. 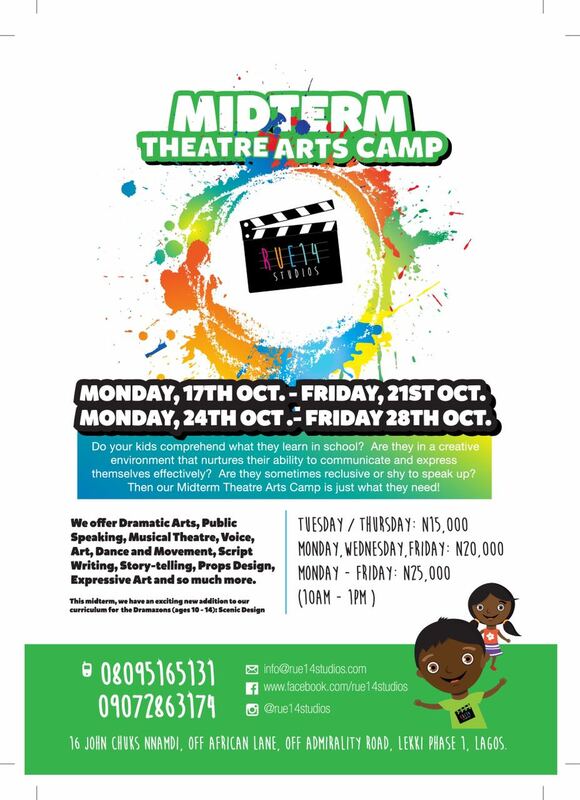 One thing that Lagos is never short of is Mid Term Camps and as usual there is a nice variety of different activities on offer. You can download an overview of the activities below by clicking here. 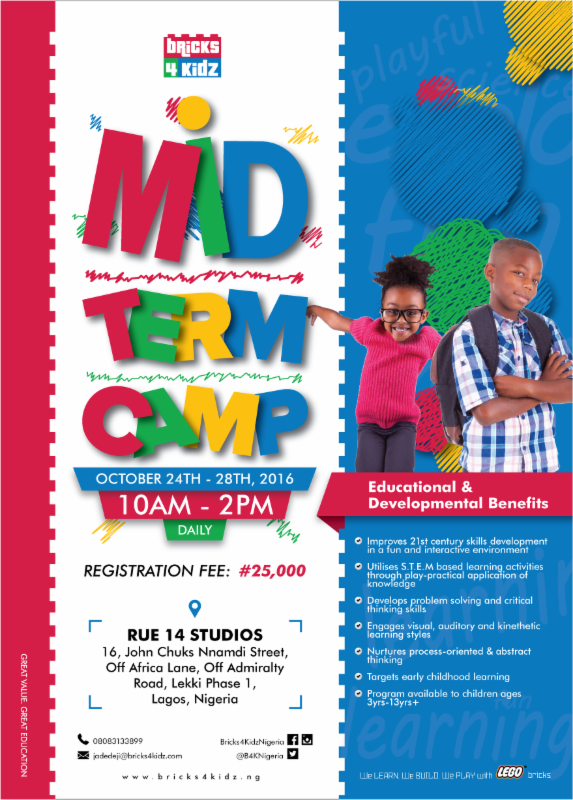 If you are not keen on sending your child to a camp or you generally would just like to spend the week with your child and keep them at home, don't worry as we also have a range of activities and ideas for you to do at home. One thing for sure when planning the activities for the week is to make sure you try to keep your child to their school routine. This will make the transition back to school as easy as possible with no tired heads on Monday morning. Plan a variety of different excursions throughout the week either 1 - 3 days depending on budget and availability. Below are some suggestions of places you may want to visit. 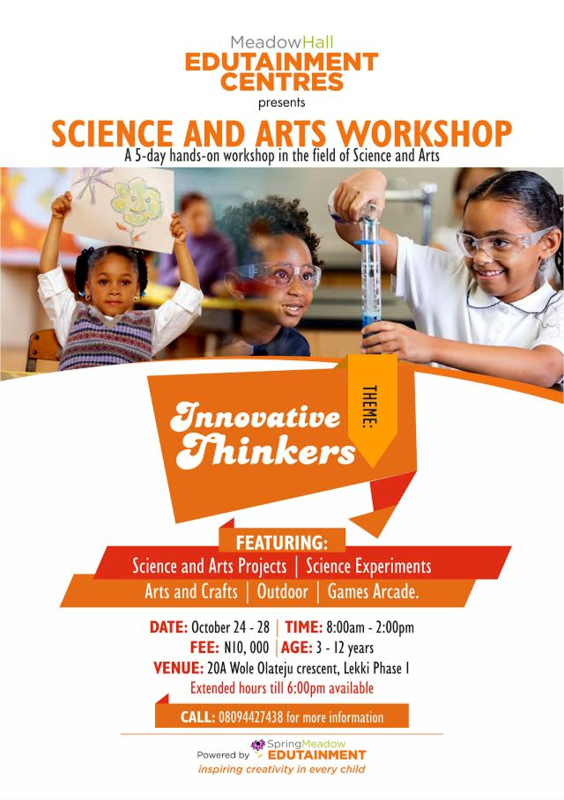 ​* Lekki Conservation Centre (Download a scavenger hunt for your child to use at the centre here). It is important to keep your child busy at home with a range of different activities. Below are a few ideas for you to try out. 1. Printable Worksheets - If you are looking for extra literacy and numeracy work or looking to improve your child's pencil grip and hand eye co ordination then click here to access our range of websites that we have liked on pinterest. EYFS TIP - Demonstrate writing so that children can see spelling in action. Always remember to support and scaffold individual children’s writing as opportunities arise. 2. Outdoor Games - It is important for children to be able to explore their surroundings outdoors as much as indoors. Organise ample time for your child to play a fun range of activities and games outdoor, preferrably in the morning when the sun is not at its hottest. Click here for a range of fun activities including outdoor chalk, ball games, hula hoops games and more. All of these games will help in developing and strengthening your child's gross motor skills. EYFS TIP - Give as much opportunity as possible for children to move freely between indoors and outdoors. Practise movement skills through games with beanbags, cones, balls and hoops. 3. Playdates - Remember that it is very important for your children to socialise so why not organise a play date with your child's friend from school or family members. EYFS TIP - Encourage children to choose to play with a variety of friends from all backgrounds, so that everybody in the group experiences being included. Where to buy Materials - Most of the materials above can be found in your nearest market or Supermarket. For arts and crafts you can buy from Lemon Pips on Admirality Way in Lekki Phase 1. However, if you to buy them cheaper then they can also be bought at CYC Store in Yaba. Remember it is important for your child to get a break from each activity. All the above suggestions are for children between the ages of 2-6 depending on their ability. You can also find other fun ideas on our Pinterest page.